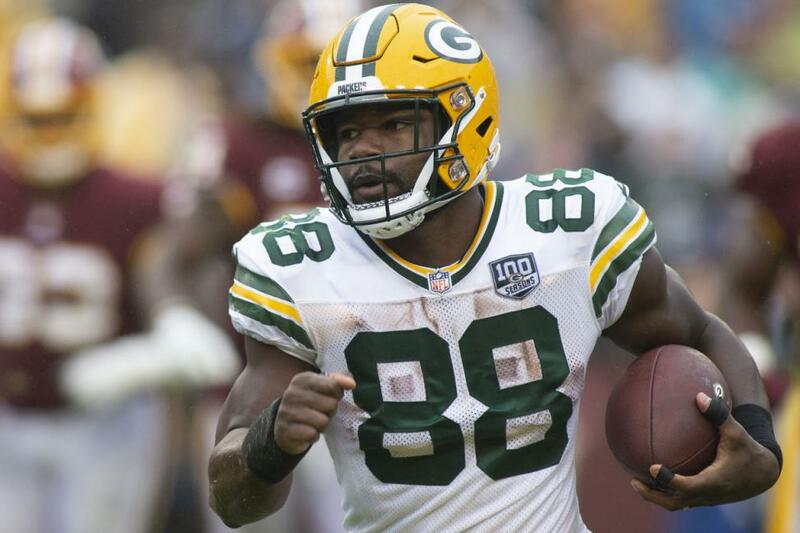 The Baltimore Ravens have acquired versatile running back Ty Montgomery in a trade with the Green Bay Packers. Baltimore sent a future undisclosed draft pick to Green Bay in the swap. The teams announced the transaction on Tuesday. Sources told NFL Network that the pick is a seventh-round selection in the 2020 NFL Draft. Montgomery, 25, had 105 yards and a touchdown on 26 carries in seven games this season for the Packers. He also had 170 yards and 15 receptions in 2018. The former third-round pick in the 2015 NFL Draft had 446 yards from scrimmage and four scores in eight games last season. He picked up 805 yards from scrimmage in 2016. The move comes just days after Montgomery fumbled during a kickoff return against the Los Angeles Rams, denying Aaron Rodgers and the Packers the chance to score a comeback victory. Running backs Aaron Jones and Jamaal Williams should see an uptick in their workloads following Montgomery's departure. The Packers face the New England Patriots at 8:20 p.m. on Sunday at Gillette Stadium in Foxborough, Mass.